Richard has been a Realtor since the late 90's. He has a true passion for Real Estate, Real Estate Marketing, and Real Estate Technology. Richard was so successful as a Listing and Selling Agent he has formed his own agency, the Richard Beckman Realty Group LLC. 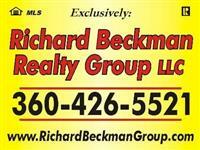 The Richard Beckman Realty Group was formed May 29, 2007. A few years later he acquired the rental and property management division of West Realty Hoodsport. In June 2010 Richard Beckman Realty Group LLC purchased the assets of Invest Realty Shelton. Along with the business purchase they also purchased the Invest Realty Building and moved locations. The business is located at 117 N 8th Street Shelton, WA 98584. Richard's Real Estate Business was expanding while the rest of the Country was going through the Great Recession. Now the Richard Beckman Realty Group offers rentals, property management & real estate services for Shelton, Mason County and Western Washington. Richard has his own website www.washingtonrealestateresource.com that acquires over 8,500 sessions a month. 90% of todays real estate buyers are searching for property online. This day and age marketing and technology go hand and hand. Richard specializes in both. With a degree in Information Systems Technology and as the previous Regional Director for Realtor.com, Richard has the expertise to market your home or property online. When you list your Property with Richard he will put your property on the 1st page of www.Google.com and www.bing.com. Assuring your property is the 1st to be seen in the area. He has first page search recognition and placement on Google, Yahoo, Bing, and more. Richard was featured in a national Real Estate Magazine, RIS Media, for his success with internet advertising. Richard 's marketing system has been so successful he was ranked in the top percent in Mason County Washington for volume & listings sold. He specializes in residential real estate, commercial, land, land development, acreage, golf course, waterfront , property management, rentals, vacation rentals, and recreational properties. Richard has worked with almost all of the real estate brokerage firms while working as a consultant for Realtor.com and has a great working relationship with most of the real estate broker. Richard is a very involved member in the community. 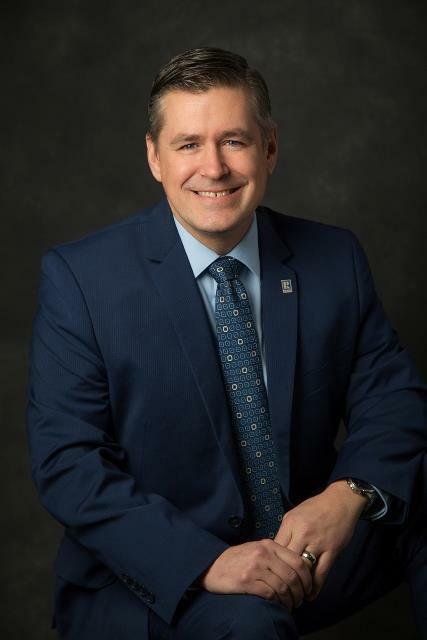 He was chair for the Quality of Life, a board member for the Mason County Board of Realtors, and involved in the Chamber of Commerce government affairs committee. He was once was selected by Sheltons Mayor & the City Commissioners to assist the City with their infrastructure plan. He is looking forward to assisting in the improvement of the city streets, sewer, water, and storm water systems. Richard enjoys volunteering for positions like this to make Shelton & Mason County a better place to live. Richard currently resides in Mason County Washington with his wife Kim, and 3 of the 5 children. Kim's family has been in the Shelton area for over 50 years, and has been involved and supportive in this community. Richard also has family here. His Grandmother, Parents and siblings have been in the Shelton area for many years and have been a positive addition to this area. Richard's Dad is from Bellinghan, WA and his Mother is from Bremerton, WA. When you are an informed buyer or seller, you'll make the best decisions for the most important purchase or sale in your lifetime. That's why Richard's goal is to keep you informed on trends in the marketplace using the latest statistics in your local area. With property values continuing to rise, real estate is a sound investment now and for the future.As a local area expert with knowledge of the communities, Richard's objective is to work diligently to assist you in meeting your real estate goals. If you are considering buying or selling a home or would just like to have additional information about real estate in your area, please don't hesitate to call or e-mail Richard. Thank you for visiting please consider it as your online source for local real estate information, and return often for the latest property listing updates.